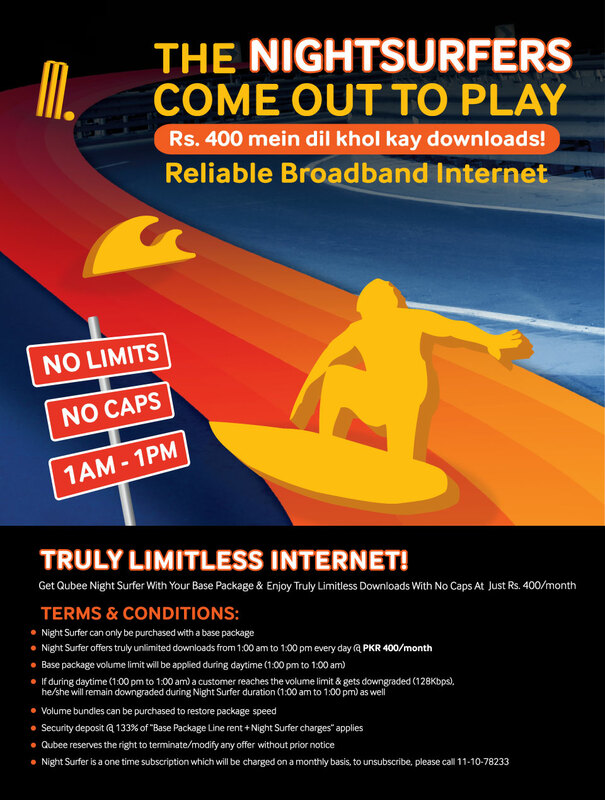 Qubee Pakistan brings Night Surfer to offer unlimited internet from 1am to 1pm. 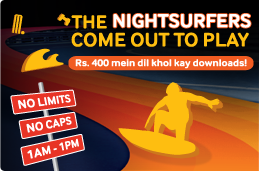 Night Surfer is a monthly subscription based offer. Qubee Night Surfer can only be purchased with base package after which you can enjoy limitless downloads, from 1am to 1pm, with no caps at just Rs. 400 per month. During daytime i.e. 1pm to 1am volume limit of basic package will be applied. If any customer reaches the volume limit of its base package, during daytime, and gets downgraded to 128 kbps, that customer will remain downgraded during Night Surfer Duration. Volume bundles can be purchased to restore package speed.